When I was 16, I felt inspiration from another human for the first time in my life as I read the writings of Walt Whitman. In his work, I found the whisperings of my origins and a kinship I had not known was possible. I have never studied poetry or given much thought about how to write it. In fact, I am not sure I should be considered a poet. All I know is that I have been awakened in the early morning by words that insist on being written. 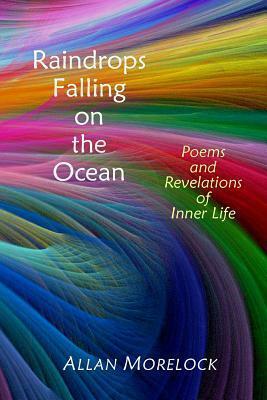 Many of the poems are an attempt to capture the feelings I experienced in ecstatic trance states of love for the Divine beginning in the early 1990s. These writings are sacred for me and very personal, and originally I had no intention of sharing them with anyone. As life unfolded, I was encouraged by certain sages I met to write and publish poetry and other writings, and I have done so tentatively. I still find that these writings help lift my mood and attitude towards life and myself. And as I have shared them, others have often felt their inspirational messages. So, perhaps, these poetic writings do not belong to me. I do hope if you like them, you can feel the Presence of love – love that is for and from everyone. The Love that is our Mother, our Source. Below are a sample of poems from my book ‘Raindrops Falling on the Ocean’.